With forecasters calling for a bit of winter weather in the DC area tonight, you can rest assured that grocery stores will be packed. Traditionally, even the slightest hint of snow prompts residents to stock up on three essentials: milk, bread, and toilet paper. In other words, the basics. 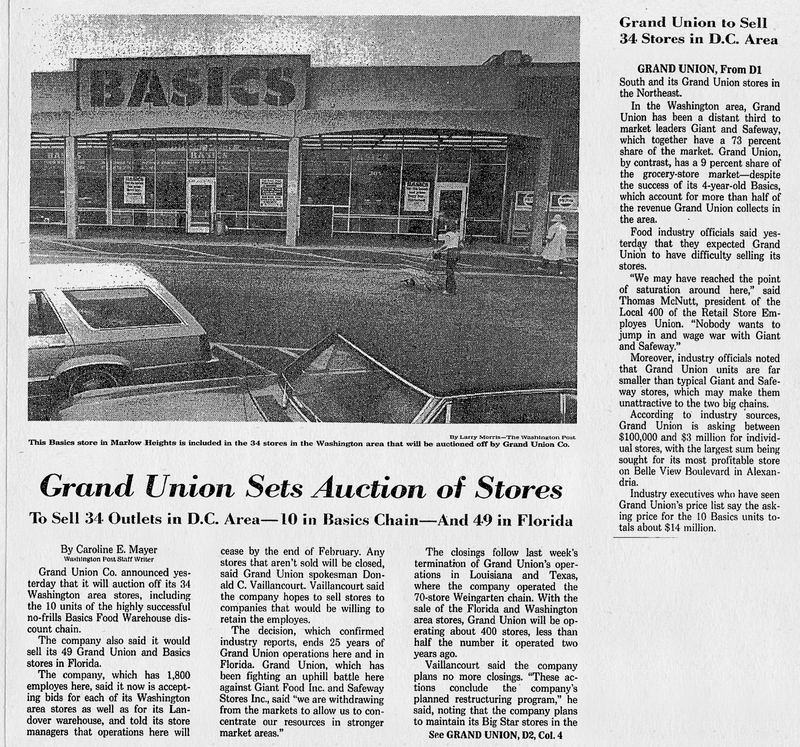 Whenever I hear the word “basics”, I think of the store that once occupied the east corner space of Laurel Plaza shopping center at Routes 198 and 197. It was the former Grand Union, (which was actually still the parent company of the Basics brand), and for the past 25+ years, it’s been the Village Thrift Store. I can still recall a sense of excitement in the air back in April 1980, at the notion of a brand new grocery chain opening up. Not that I had any reason to be excited about it, as I was only 7 years old at the time. But something about Basics just seemed different and markedly ahead of its time. And all these years later, I feel the same way. There was a clear concept behind the Basics brand—simplicity. This was something unique in a time when Giant Food was flexing its local muscle against the likes of Safeway, A & P, and Pantry Pride, and each were promoting their own respective brands in a more conventional manner. But Basics stripped everything down, literally, to the point that its aesthetic was practically generic. And you saw this the moment you entered the store, passing through the produce aisle. Gone were the old molded plastic shelves with rubber shopping cart protectors; here, massive plain cardboard boxes contained oranges, grapefruits, and lettuce. Above each were impressive, hand-lettered signs that had been painstakingly rendered in chalk on black boards. There was a distinct, no-frills vibe all throughout the store, unlike the other chains who plastered their brand on anything and everything. But by early 1984, despite the success of Basics, Grand Union was ready to call it quits. Basics had run Pantry Pride out of town within its first year of operation, but Giant and Safeway proved to be just too much. 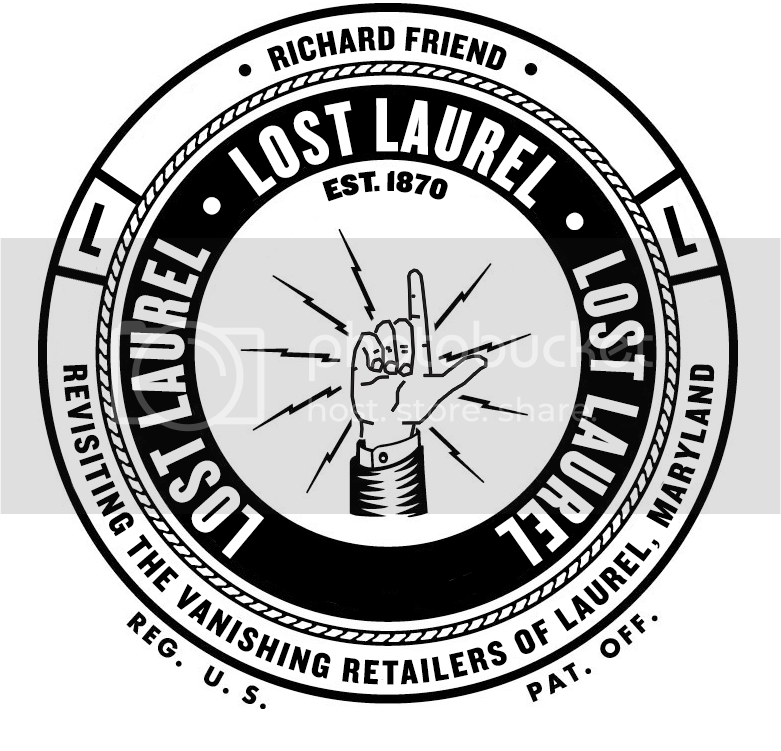 There are little reminders of the Basics legacy in and around Laurel today, particularly at places like Shoppers Food Warehouse, which has capitalized on the same no-frills, basic (no pun intended) precepts that Basics founded. 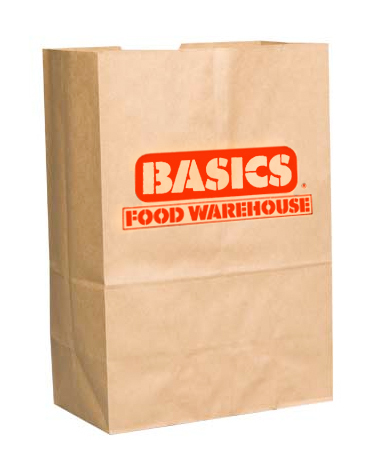 Be sure to warmly remember them while you’re out picking up your milk, bread, and toilet paper tonight… and know that wherever you go, Basics certainly would’ve been cheaper.